In the US, Melbourne-based author Bram Presser has won the debut fiction award at the 2018 National Jewish Book Awards for his novel The Book of Dirt (Text). Established in 1950 by the Jewish Book Council, the awards are presented by category and recognise outstanding books in the field of Jewish literature. The Book of Dirt was among a shortlist of five titles for the Goldberg Prize for debut fiction, which highlights new works by contemporary writers exploring Jewish themes. Women’s Studies award: Never a Native (Alice Shalvi, Halban). The winners of the 2018 National Jewish Book Awards will be celebrated at a gala awards dinner and ceremony to be held in New York City in early March. 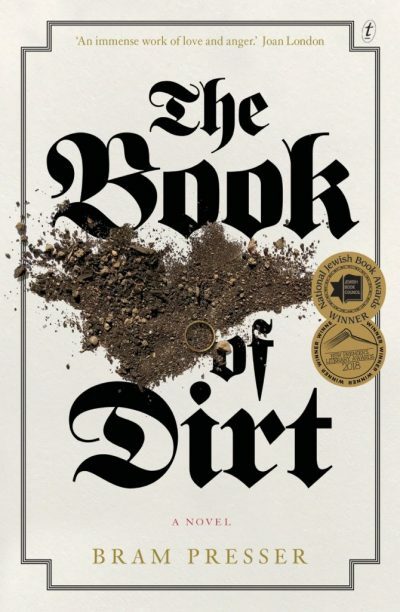 In December last year, The Book of Dirt was announced as the winner of the 2018 Voss Literary Prize. To see the full list National Jewish Book Award winners, visit the website.